In the 21st century, the kitchen has become the true heart of many homes, the place where we gather to spend time with friends and loved ones. We all want a stylish kitchen that reflects our personalities and paint is the easiest way to give this room an update. We’ve created four stunning colour palettes around Creme Brulee, the Dulux Colour of the Year 2019. Which one will be right for you? 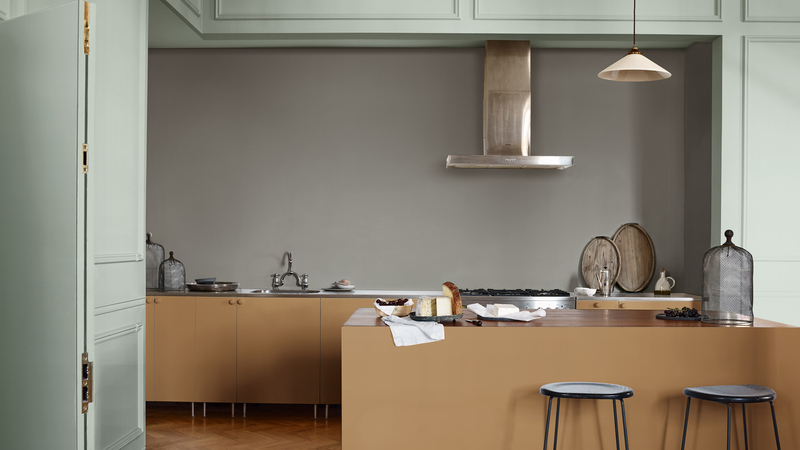 In this kitchen, the mood is peaceful and elegant with cool grey walls, pale blue woodwork and cabinets painted in the calm caramel shades of Creme Brulee, the Dulux Colour of the Year 2019. Mixed with light woods, silver-grey metals and hand-made objects, the look is understated, graceful and grown-up. 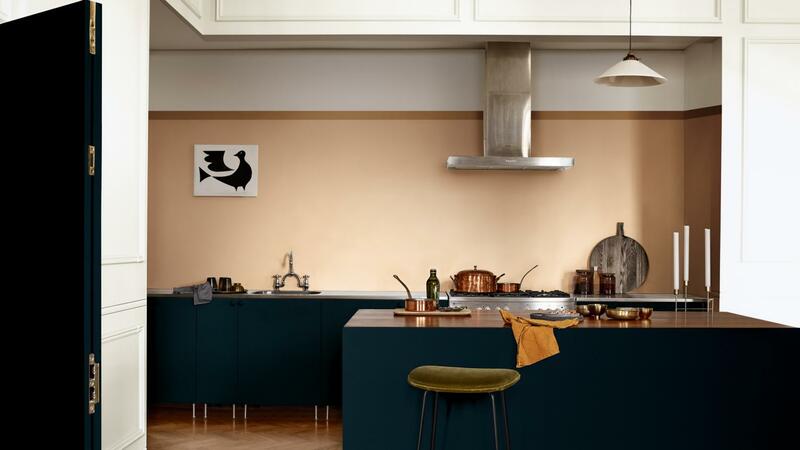 This kitchen uses paint to achieve a sense of animation and energy. Against a calm backdrop of pale neutrals, the bright pastel blue of the painted cabinets stands out boldly. 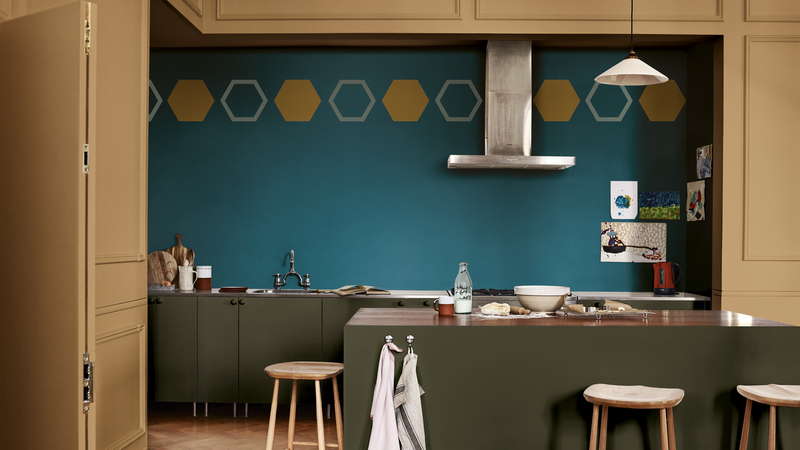 This energizing colour is echoed in the graphic circle on the wall above and the blue line running along the warm caramel-toned panel of Creme Brulee on the kitchen island, for a quirky and dynamic effect.